It's been a while since I've featured a 'Photos of the Day' post and some of these pix are kind of old. But better late than never, right? Let's get started with our new White House Social Secretary Desiree Rogers (center) at Mercedes Benz Fashion Week in New York, February 16, 2009. Seated next to Desiree on the left is Anna Wintour, editor in chief of Vogue magazine. 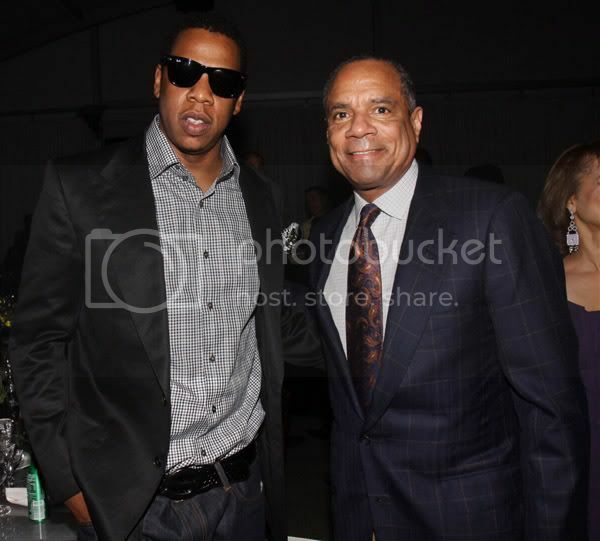 In addition to philanthropy, art and fashion are my passions. 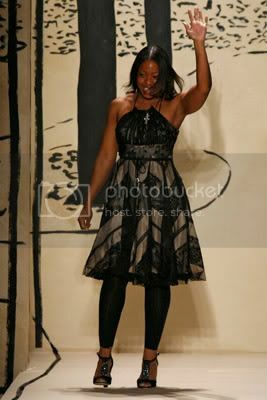 So I love New York fashion week! Before I started working in philanthropy, I was a fashion stylist. My sister and I styled photo shoots and music videos, but working on a video shoot into the wee hours of the morning was not my cup of tea. 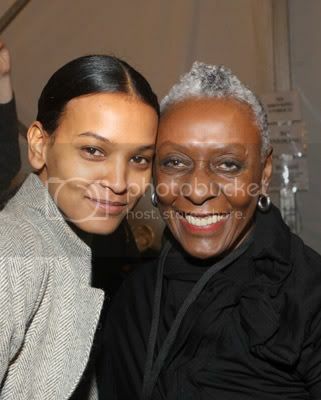 I was in NY this past weekend, unfortunately not for fashion week, but to attend the National Black Fine Art Show in Manhattan. The show featured 36 galleries and dealers from the U.S., Canada, Europe, and the Carribean, presenting 19th - 21st century Black artwork. There was one artist, Zora Taylor, who I was particularly enthralled with. (I hope to feature her soon). Visit the art show website here. Read a review of the show here. 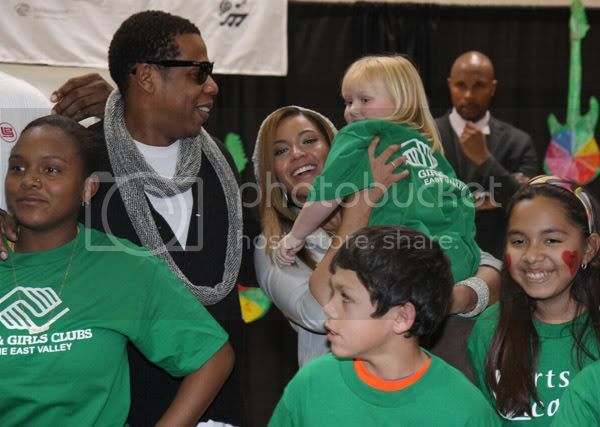 The Two Kings, Lebron James (not pictured) and Sean 'Jay-Z' Carter, along with his wife Beyonce attend the Sprite Green instrument donation event at the Boys and Girls Club in Mesa, AZ, February 14, 2009 during NBA All Star Weekend. 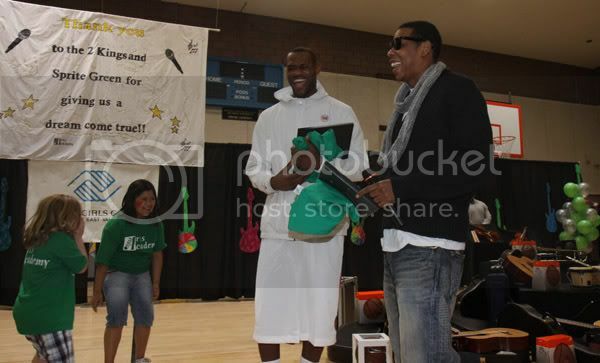 The Two Kings share a laugh at the event. Good Morning America television anchor Robin Roberts reads to children during Black History Storytime at Barnes & Noble Lincoln Triangle on February 17, 2009 in New York City. 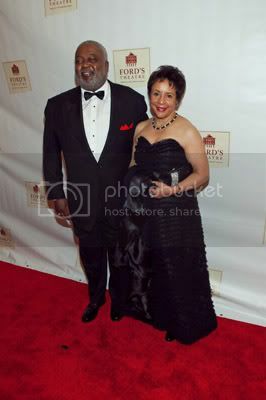 Producer and philanthropist Sheila Johnson at the 40th annual NAACP Awards in LA, February 12, 2009; and at right, Sheila with her husband, Arlington (VA) County Circuit Court Chief Judge William T. Newman arrive at the reopening celebration at Ford's Theatre on February 11, 2009 in Washington, DC. 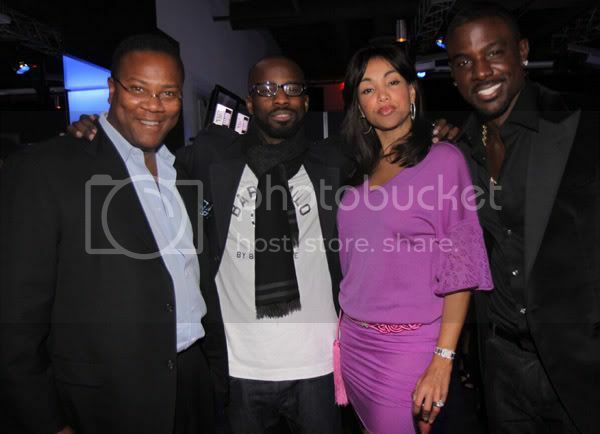 Morris Reid, music producer Bryan Michael Cox, Jaci Reid and actor Lance Gross attend New Era & 944 Magazine Pre-Grammy Party at Studio 944 on February 7, 2009 in Westwood, California. 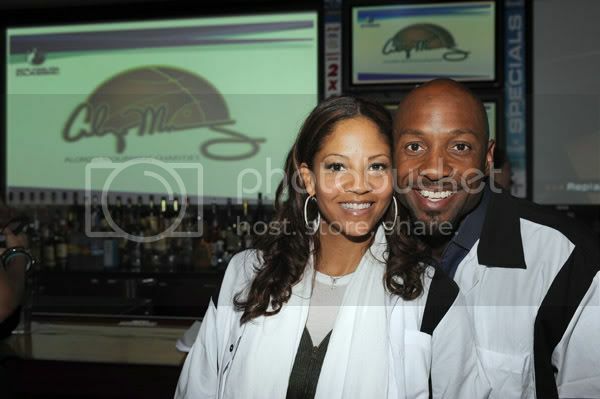 Alonzo Mourning and wife Tracy get their bowl on at their Zo's King Pin Classic, benefiting Honeyshine Mentoring program at Lucky Strike Lanes on January 22, 2009 in Miami Beach, Florida. 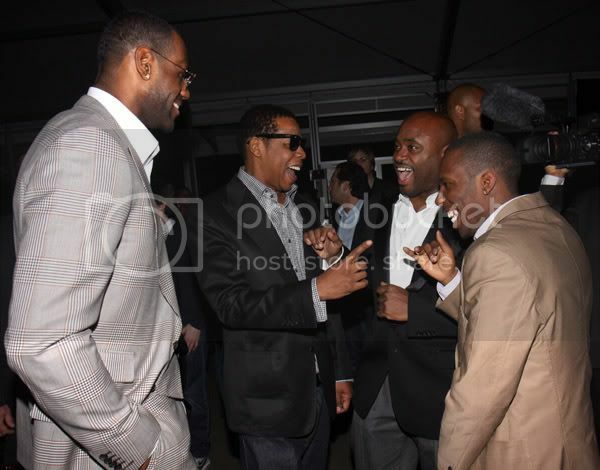 Alonzo Mourning officially announced his retirement from the NBA earlier that day. 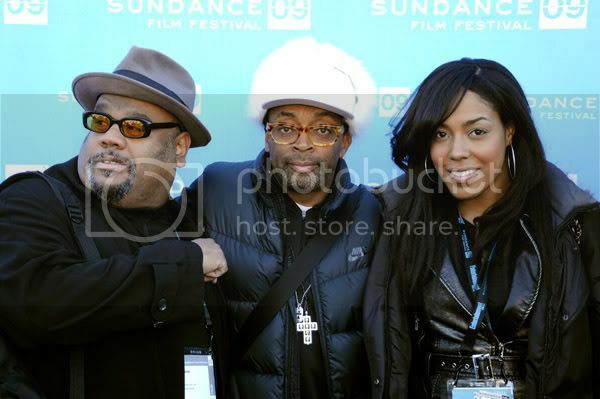 Writer/composer Stew, director Spike Lee and actress De'Andre Aziza attend the premiere of "Passing Strange" during the 2009 Sundance Film Festival at Library Center Theatre on January 16, 2009 in Park City, Utah. Actress Mo'Nique, director Lee Daniels, actresses Gabourey 'Gabby' Sidibe and Paula Patton from the critically acclaimed film 'Push', at the FilterForGood by Brita event during the 2009 Sundance Film Festival on January 18, 2009 in Park City, Utah. 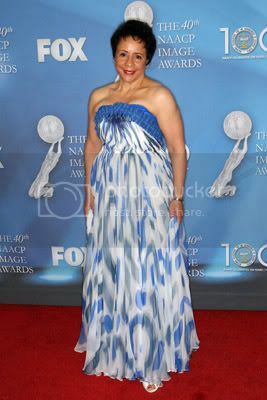 The film, based on a novel by Sapphire, has won two awards at the 2009 Sundance Film Festival and will receive promotional assistance from Oprah's Harpo Productions and Tyler Perry's 34th Street Films. Read more about the film here.